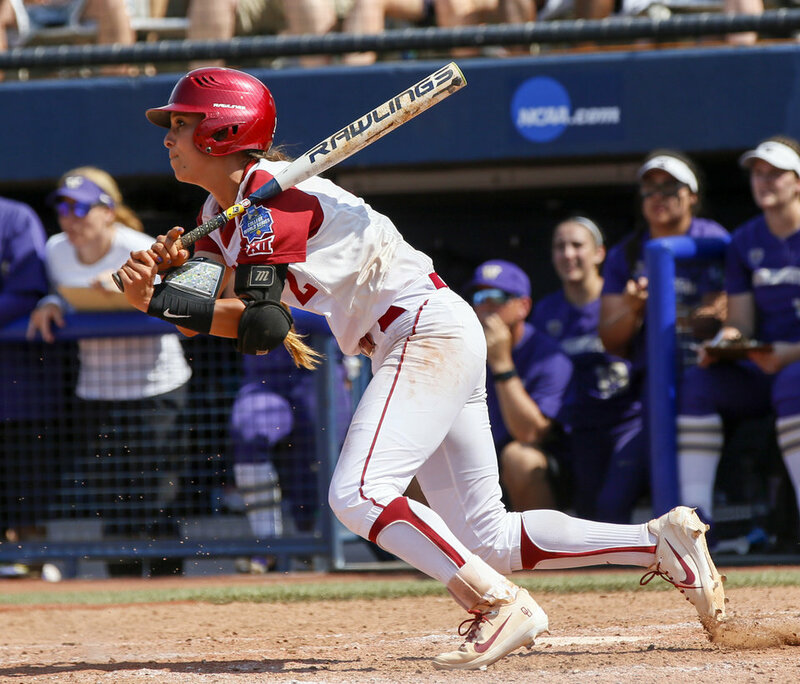 Oklahoma senior third baseman Sydney Romero was selected third overall in the National Pro Fastpitch draft Monday night, becoming the third Sooner drafted in the first round in the last two years. Two of her teammates were picked later in the draft. Senior second baseman Caleigh Clifton was the ninth overall pick of the Chicago Bandits. Senior infielder Shay Knighten was selected 20th overall by the USSSA Pride. Romero and Knighten will join several Sooners on the USSSA Pride roster: Shelby and Nicole Pendley, Keilani Ricketts, Paige Parker and Lauren Chamberlain. Sydney Romero's sister, Sierra Romero, is also on the team. Romero leads the Big 12 and ranks eighth nationally with a .462 batting average. She leads the Sooners with 15 home runs, 42 RBIs and a .924 slugging percentage. National Pro Fastpitch was founded in 2004. The league consists of six teams, with games scheduled from late May to mid August.